I'm proud of my heritage. I like all of our unique features. 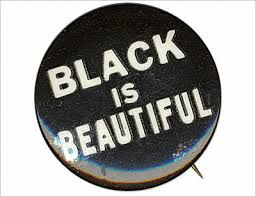 I appreciate every flesh tone all the way from the darkest of the dark to lightest of the light. No offense to any other culture but being black is out of sight. We have that inner strength, resilience and brilliance. We have preserved through so much. We have pioneered, engineered, orchestrated, illustrated, designed, and woven the fabric of this great nation. Our sacrifices, struggles, and plight illuminate the souls of anyone who is bold enough to learn of us. We're worth more than 28 calendar days. We broke the mold of the freshly fired clay. We are now and forever will be what it means over come all. Divided or united we still stand tall. We improvise and dominate through it all. I don't mean to ruffle any feathers. Last day of black history Month. Had to make it special.